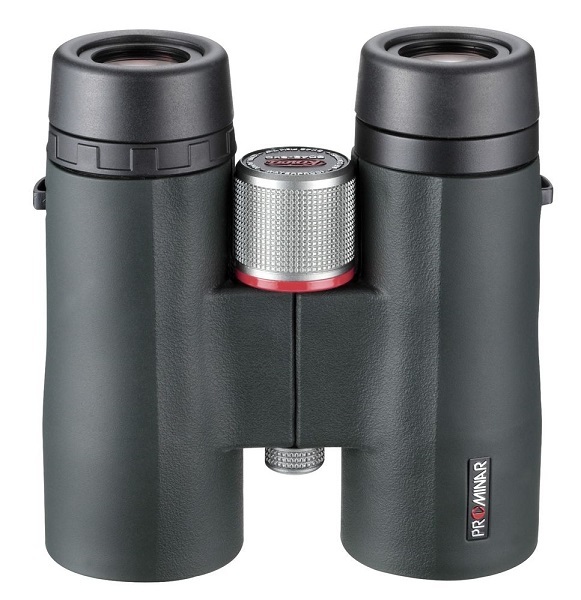 The Kowa BD-XD 8x42 Prominar binoculars offer a high optical performance comprising bright and clear images, high resolution, and high contrast. They are easy to use and are perfect for outdoor observation. These high quality binoculars can satisfy the requirements from beginners to experienced users with depictions of faithfully reproduced scenes of the outdoors. Their lightweight and compact bodies do not tire users even after long periods of use. BD-XD Prominar binoculars with a full range of specifications that can be used in all conditions in the outdoors. The XD lenses and bright wide fi eld of view delivers sharp images without chromatic aberration. PROMINAR" XD lenses - Utilisation of “C3 Coating”: this is technology for enhancing the prism reflection rate. By reducing the amount of light lost, a brighter and clearer field of view is attained. Multi-coating processing is applied to all lenses and prism surfaces, and due to the multilayer coating applied to all lenses and prisms, a bright and clear field of view is delivered.